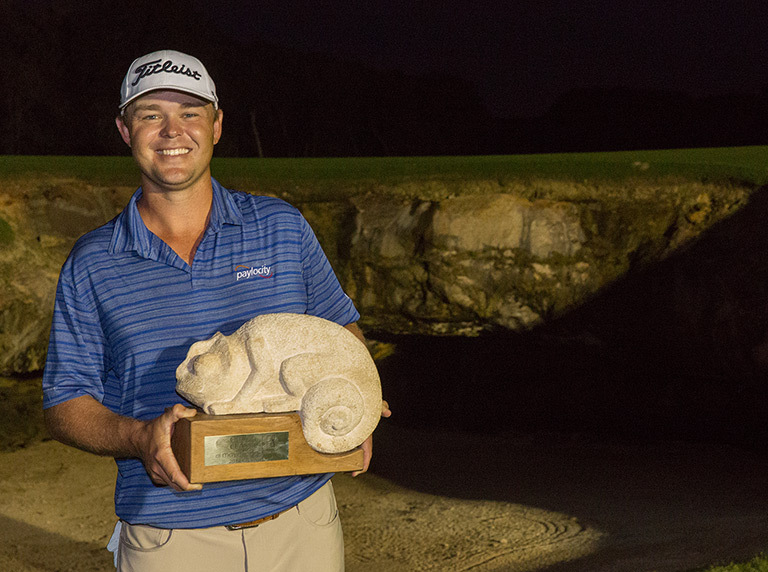 In just his second start at the Mayakoba Golf Classic (T58/2015), Patton Kizzire held off a dramatic challenge from Rickie Fowler, who birdied two of the last three holes, to post his first victory on the PGA TOUR. 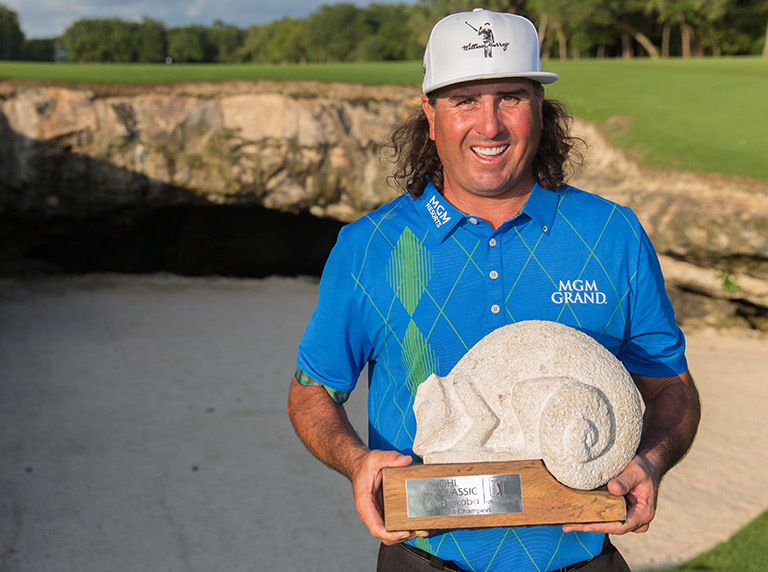 Congratulations to Pat Perez, our 2016 Mayakoba Golf Classic Champion! Perez made five birdies and one bogey en route to a 21-under-par 263, good for a two-stroke victory over 54-hole leader Gary Woodland. 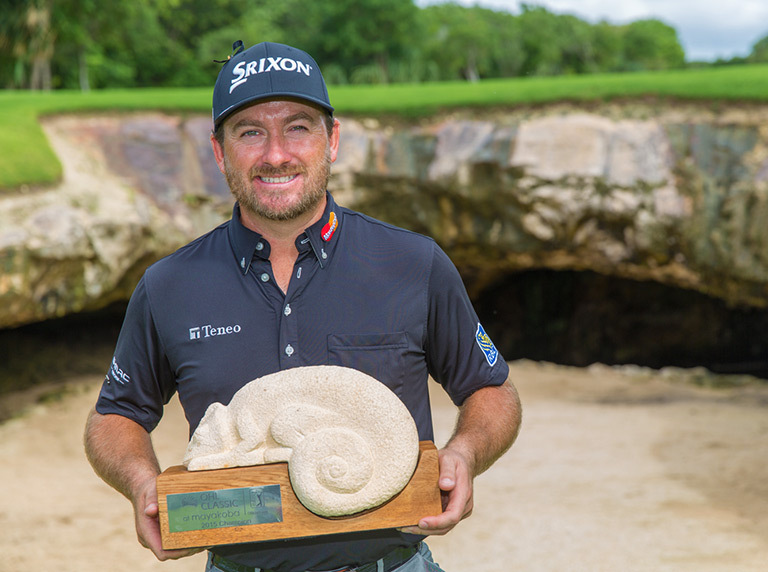 Congratulations to Graeme McDowell, our 2015 Mayakoba Golf Classic Champion! 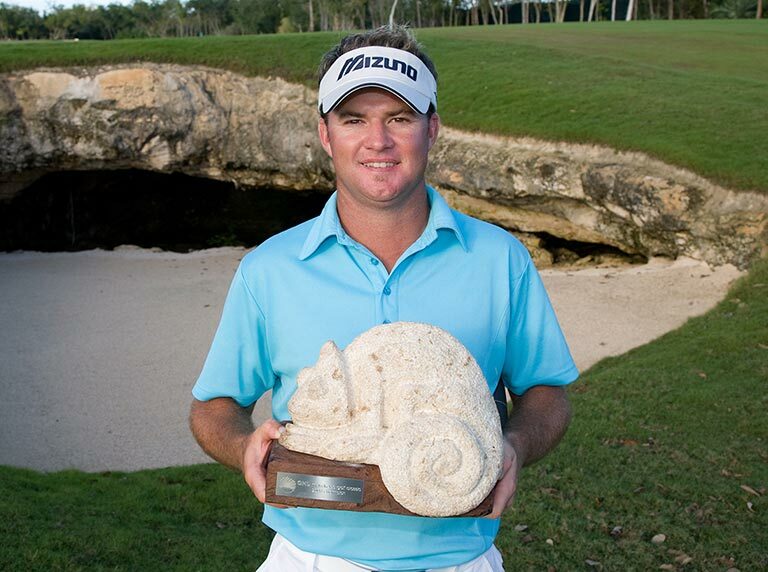 McDowell won his first PGA Tour event in over two years by defeating Russell Knox and Jason Bohn in a playoff at El Camaleón Golf Club at Mayakoba. 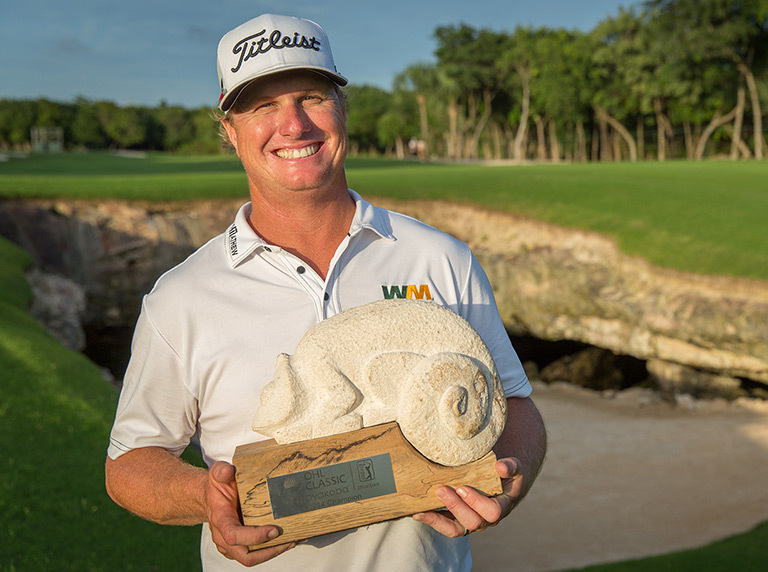 Facing a three-shot deficit, Charley Hoffman rallied in the final round up until the last hole to claim the championship at the 2014 Mayakoba Golf Classic. He finished with a 5-under-par 66 in the final round of competition to close at a tournament total of 17-under-par 267. Harris English won the rain-delayed Mayakoba Golf Classic for his second PGA TOUR title, pulling away for a four-stroke victory in a 29-hole Sunday finish. 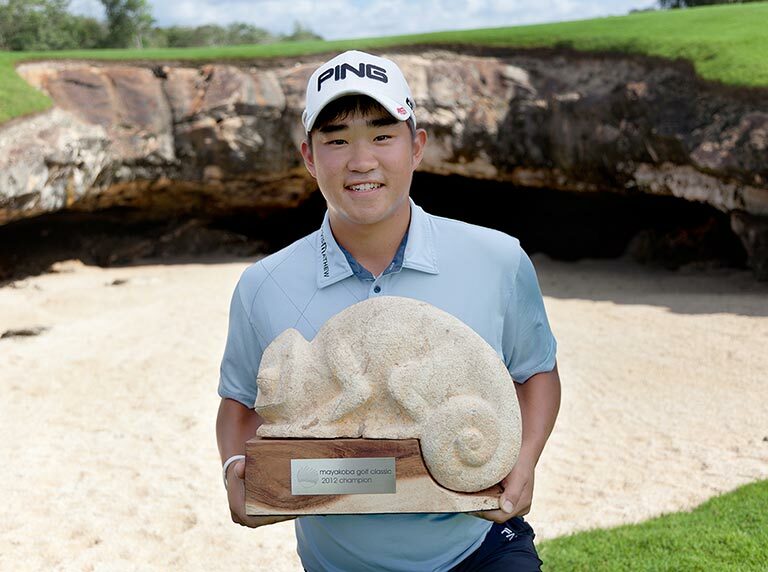 John Huh parred the eighth hole of a playoff to beat Australia's Robert Allenby and win the 2012 Mayakoba Golf Classic. The 21-year-old Huh parred all eight holes in the playoff that matched the second-longest in PGA TOUR history. 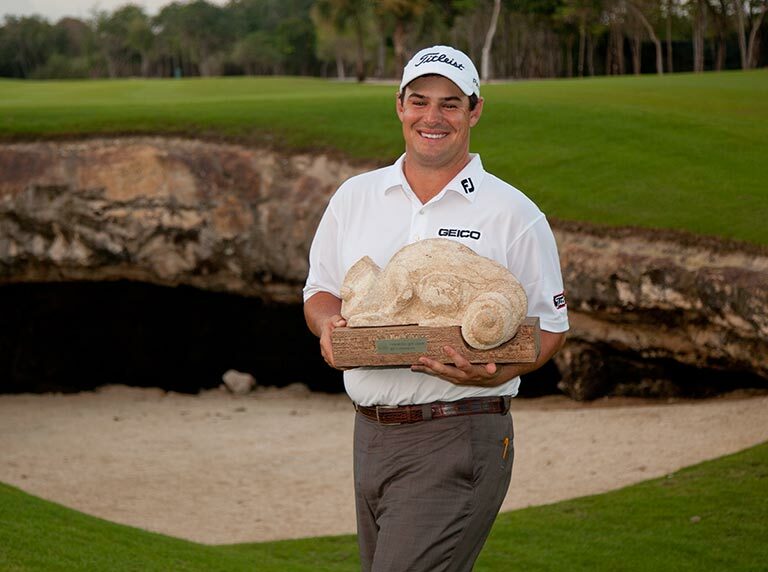 Johnson Wagner won the 2011 Mayakoba Golf Classic for his second PGA TOUR title, beating Spencer Levin with a par on the first playoff hole. 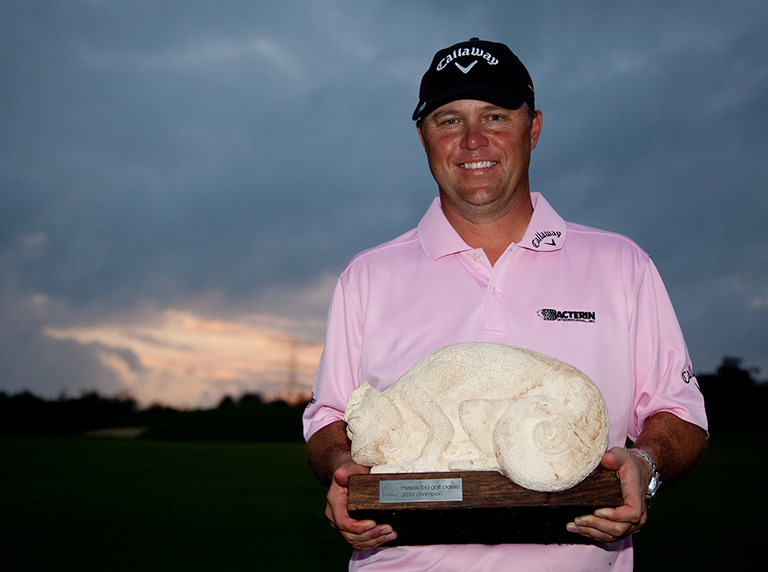 Wagner, also the 2008 Shell Houston Open champion, closed with a 4-under 67 to match Levin at 17-under-par 267 on the Greg Norman-designed El Camaleón course. 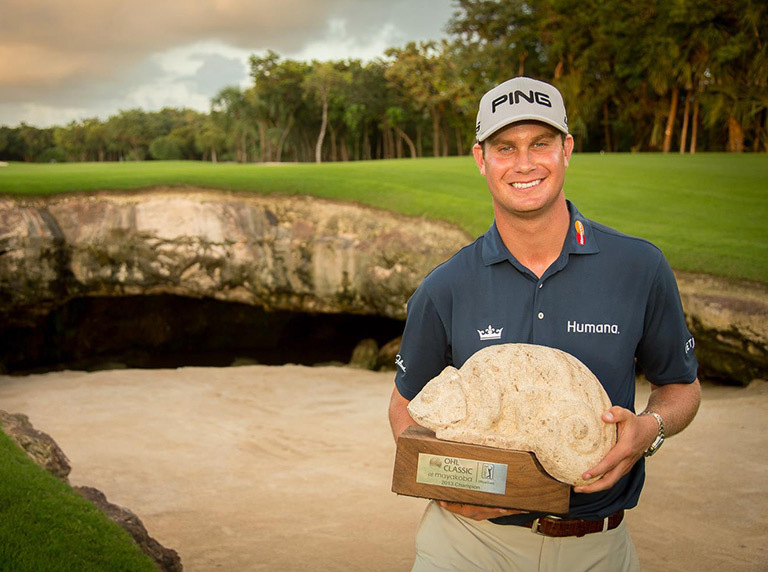 Cameron Beckman claimed his third PGA TOUR title at the 2010 Mayakoba Golf Classic, closing with a 4-under-par 67 in the final round for a two-stroke victory over Brian Stuard and third-round leader Joe Durant. 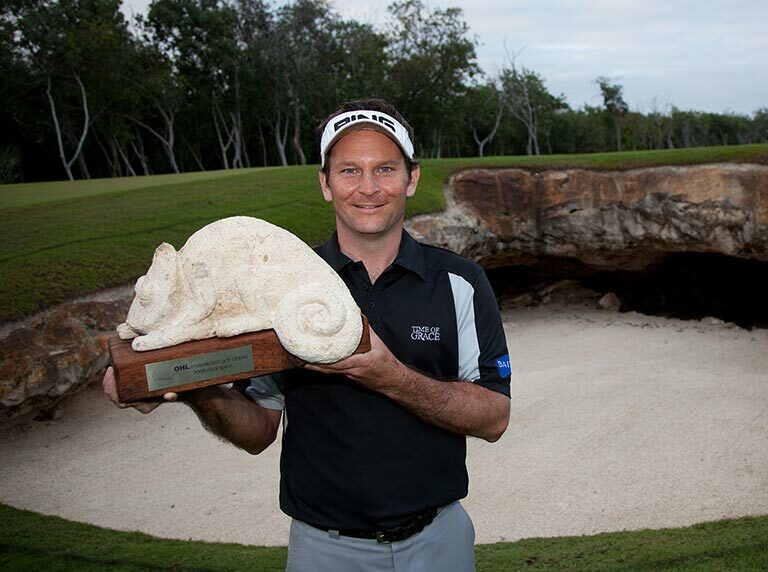 Mark Wilson took over the lead of the Mayakoba Golf Classic for good with two early birdies in the final round, yet had to fight through some wobbly play down the stretch to earn his second career PGA TOUR victory. 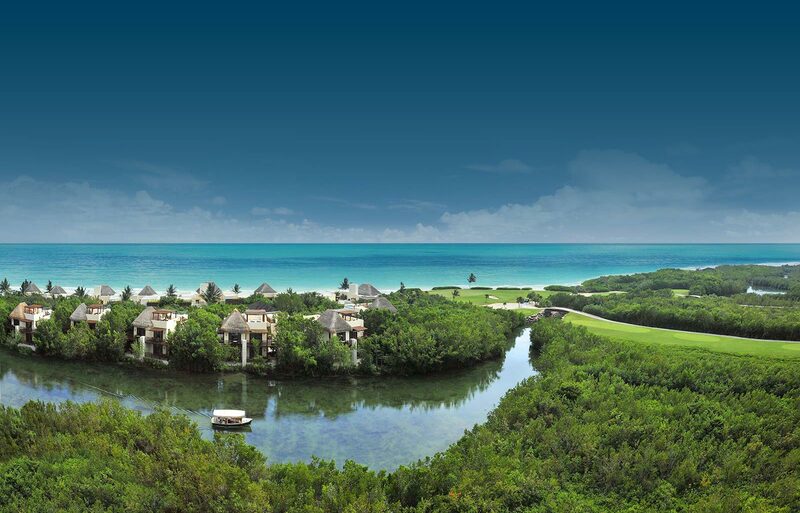 Brian Gay's 8-year-old daughter had it on good authority that her father would earn his first PGA TOUR victory at the Mayakoba Golf Classic. The defending champ's 12-year-old son told her so the night prior to the final round. Although Gay didn't know about the prediction, he did a nice job making it hold up, shooting a 1-under 69 in the final round to win the 2008 Mayakoba Golf Classic by two strokes at 16-under-par 264. How do you say Funk in Spanish? That would be funkeon (campeon - champion) or funkador (ganador - winner). 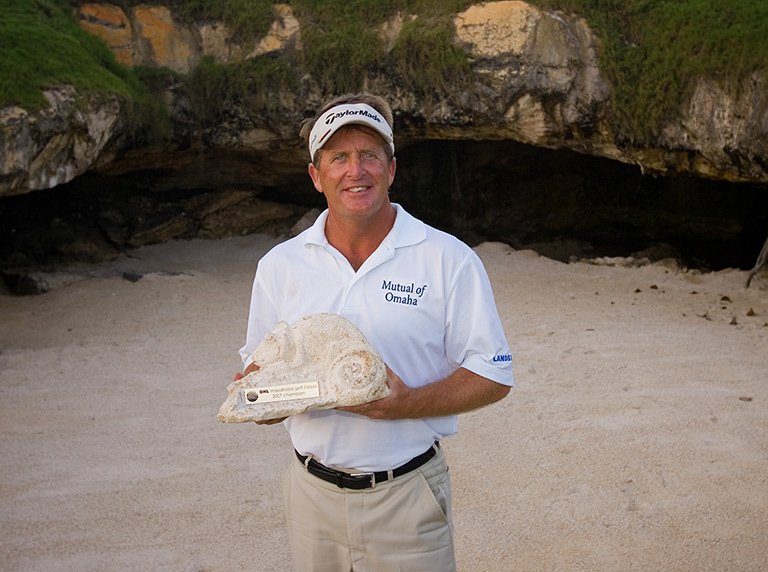 The above question is well worth asking as Fred Funk is the champion of the inaugural Mayakoba Golf Classic. Funk claimed the title with a birdie on the second hole of a sudden-death playoff against Jose Coceres.